Adultery. Painfully annoying mothers-in-law. Older men with much younger women. 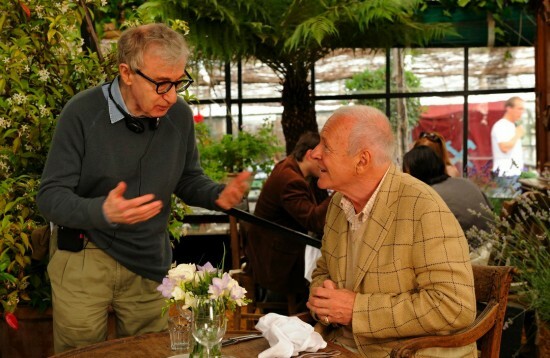 It’s the new Woody Allen movie! Woody’s latest, You Will Meet a Tall Dark Stranger, is a claustrophobic, mildly funny and highly tense dramedy about dissatisfaction and the absurdity of humanity. Or, more precisely, it is about a group of people, too smart for their own good, making bad decisions. Roy – played enthusiastically and awkwardly by Josh Brolin – is a novelist with writer’s block. He has one successful book, and worries he may not have another one in him. His wife, Sally (Naomi Watts) works in an art gallery, and one day wants to run her own. It is plain from the start that Sally is frustrated with Roy’s floundering, though she expresses support when he needs it. The wedge that pries them apart is two-headed: Sally’s mother, recently divorced, and Dia, a beautiful young woman who moves in to a neighboring apartment. Gemma Jones plays Sally’ mother, Helena, with a hypnotic air of confusion, intertwined with a strong element of fear. She has been left by her husband so late in life… what will she do? Will she ever find love again? Even in her own despair, she believes her daughter can do better than Roy. She cannot seem to decide whether being alone is worse than being with the wrong man. But surely things need to change. Helena is the most demonstrative of the characters, displaying open paranoia and grasping at the advice of a psychic for guidance. Anthony Hopkins plays Helena’s ex-husband, Alfie, the one who runs off with a twenty-something former prostitute. Hopkins develops layers to his character, something he hasn’t done in some time. We see the familiar pompous intellectual who is control of every situation. But then we see the age fearing, pathetic old man running around with a younger crowd that he not only doesn’t control, but also doesn’t understand in the least. He literally gets beaten up for it. As usual in Woody’s movies, the wife Sally loses patience with her struggling writer husband and develops a crush on her boss. Roy leaves Sally for Dia, who was engaged but breaks it off. Yet the most interesting parts of the film don’t involve the relationship between Roy and Sally. There is a subplot which could quite possibly have been a much larger part of the film. Roy has a friend who is also a novelist, and has written a wonderful new book. The thing is, nobody but Roy has read the manuscript, and his friend dies in a car accident. Roy then submits his friend’s work as his own. I won’t spoil that part of the movie by revealing how it ends up, but this subplot brings a spark of thrill to an otherwise fairly dense little film. The other breath of life comes from Alfie’s story. The prostitute Charmaine is portrayed by Lucy Punch with a happily surprising amount of introspection. Subtle facial expressions and tones of voice fleck her otherwise formulaic bimbo. There is an emotional confrontation in the last scene between Alfie and Charmaine that is the best in the film. For a few minutes, neither character is a caricature; both reveal the person they had, until then, been hiding. Gemma Jones’s Helena could be considered in some ways the central character of the movie. She is the one that connects them all, and she is also very different than the rest. In her depression she has discovered a belief; a hope that a view of the future is possible, that communication with the dead is an option. In other words, that there is a power that can end fear. Everyone else tries to grasp at an earthly ideal, the perfect man, the perfect woman, professional success, youth. Helena shakes all of this aside and is, in some ways, the happiest of all at the close of the film. Perhaps Woody is making a comment on religion, or perhaps he is simply laughing at how we all struggle for the unobtainable. Whatever it is, the film has a heavy sense of foreboding underlying all of the quick banter. The characters feel it and so do we. This entry was posted on November 10, 2010 by Ian Kay. It was filed under You Will Meet a Tall Dark Stranger (2010) and was tagged with woody allen, you will meet a tall dark stranger.